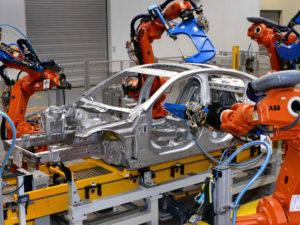 The GMB union, which represents Jaguar Land Rover workers, says the Government must focus on getting a clear commitment to a customs union with Europe on the back of warnings from JLR about its future in the UK. In a statement, the carmaker said while its “heart and soul” are in the UK, a hard Brexit would cost JLR more than £1.2bn profit each year and leading it to re-evaluate its spending plans; it’s spent around £50bn in the UK in the past five years and currently plans for a further £80bn more in the next five. The warnings come on the back of similar comments from BMW and Airbus. In response, Stuart Richards, GMB senior organiser, said: “We cannot afford to lose Jaguar Land Rover and its supply chain – it would be an economic car crash.